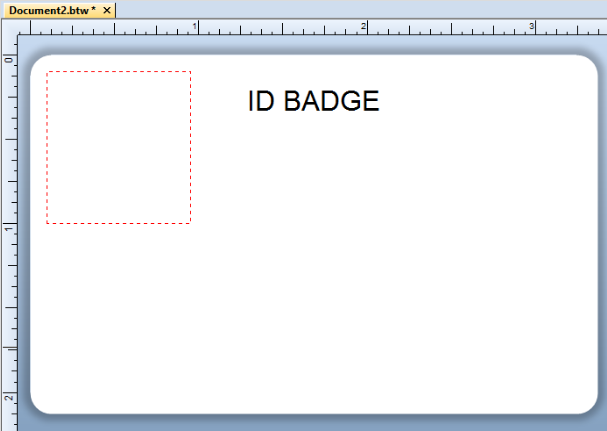 This article will walk you through one method for creating an employee badge using layers in BarTender. You will learn how to set up layers in order to: organize content, restrict objects to a bounding rectangle, and print to specific printer panels (Primary, Monochrome Black, UV Fluorescing, Overlay). 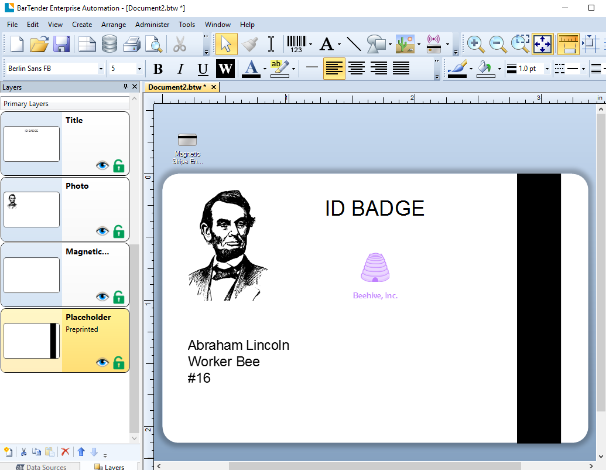 This example uses a card printer with CR80 as the card stock. 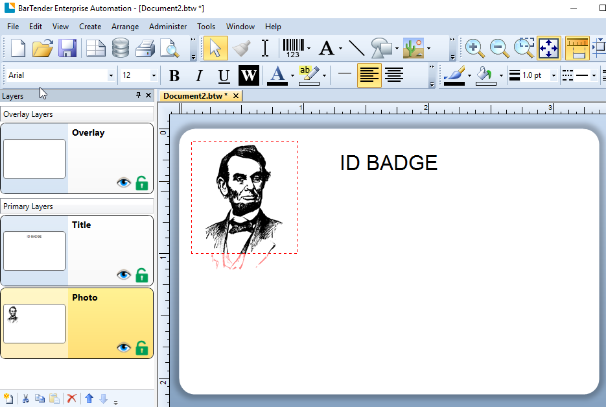 Rename Layer 1 to "Title"
Add a Single-line text object to the center-top and change the text to "ID BADGE"
Add a new layer and name it "Photo"
Add a Picture object and place it in the bounding rectangle. 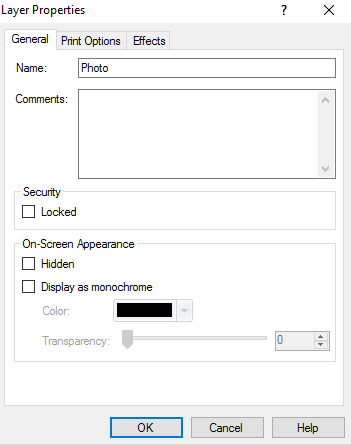 Set the Picture object to the image of the employee. For more information about adding images to your document please review Embedding images into a BarTender template and Linking to an external picture file. 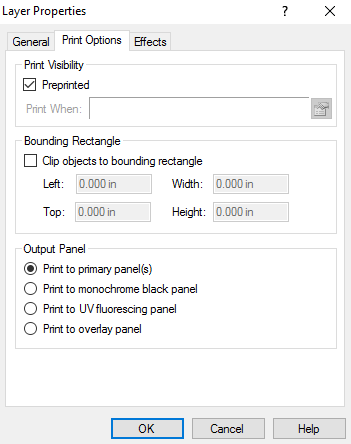 Add a new layer and name it "ID info"
Click the Print options tab, uncheck Clip objects to bounding rectangle, and set the Output panel to Print to monochrome black panel. Close Layer properties. 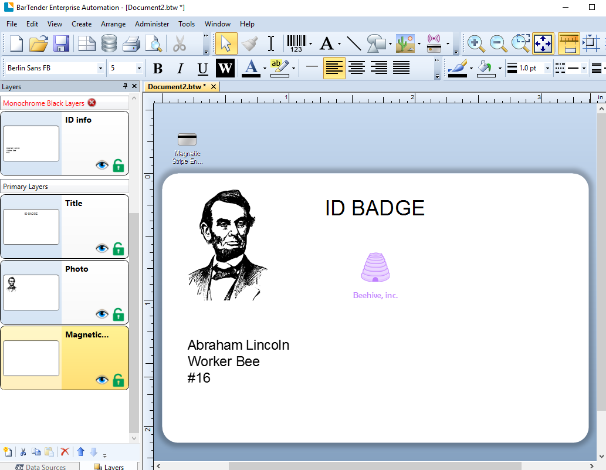 Add a Multi-line text object under the photo and set the employee information. Add a new layer and name it "UV mark"
Click the Print options tab and set the Output panel to Print to UV fluorescing panel. Close Layer properties. Add a Picture object of the company logo below the title. For more information about adding images to your document please review Embedding images into a BarTender template and Linking to an external picture file. Add a new layer and name it "Magnetic stripe encoder"
Click the Print options tab and set the Output panel to Print to primary panel(s). Close Layer properties. Add the Magnetic Stripe encoder object. For more information please review the product documentation for Encoder objects. 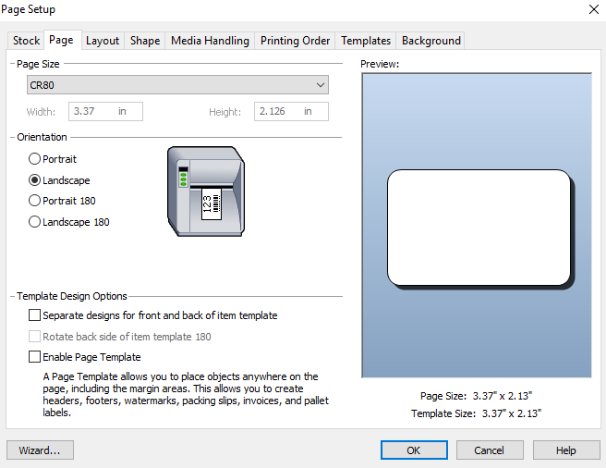 Add a new layer and name it "Placeholder"
Click the Print options tab and set Print Visibility to Preprinted. Close Layer properties. 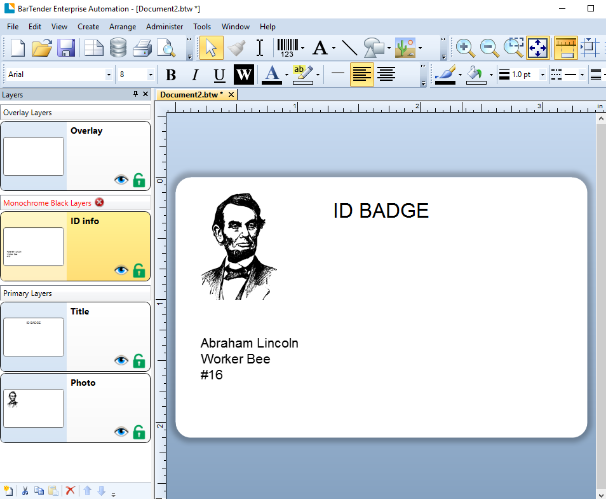 Add a Rectangle shape object to the right side of the badge where the actual badge exists on the card stock. 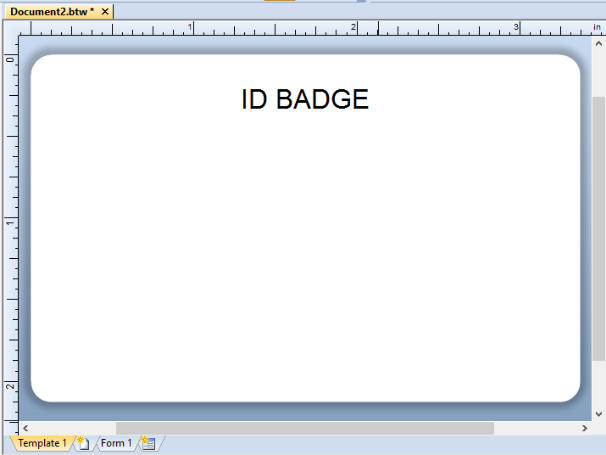 Since the layer is set to "Preprinted" it will not print, but serve as a visual placeholder to help design your employee badge. 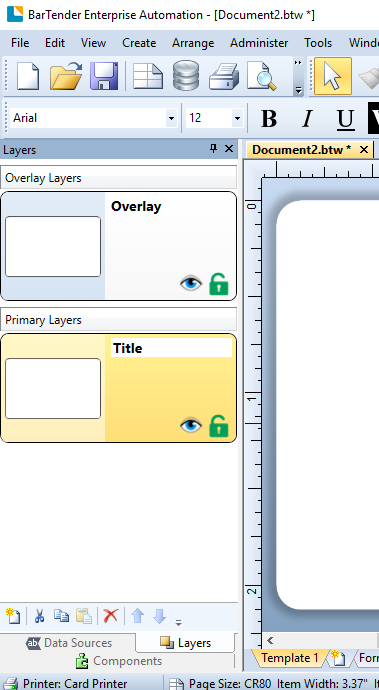 Select the Overlay layer from the layers toolbox. If you do not have an overlay layer, then add a new layer, rename it "Overlay", and set the Output Panel to Print to overlay panel. 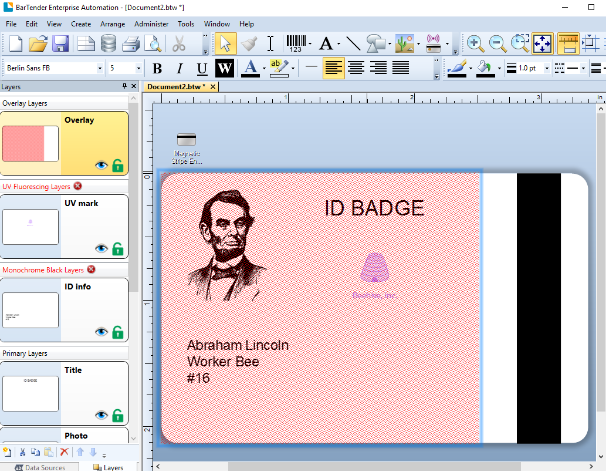 Add a Rectangle shape object and cover the entire badge except the magnetic stripe placeholder.